I wish I knew about this a while ago. I was kayaking and when I disembarked on a rocky shore, my sandal broke. 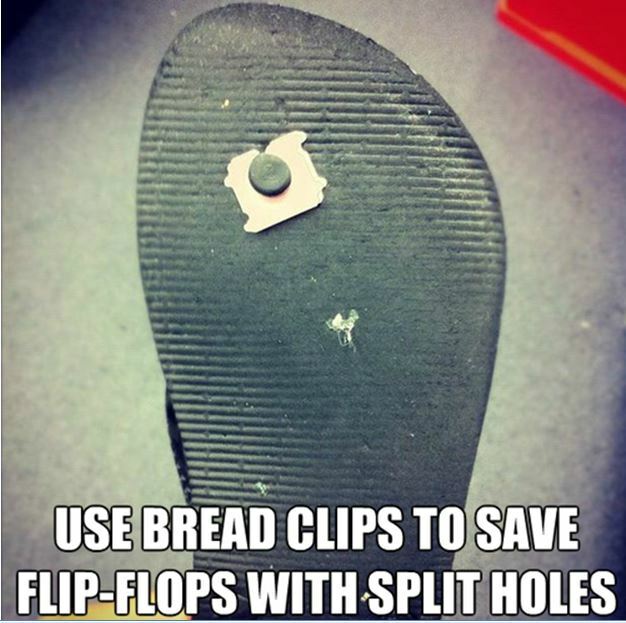 If you happen to break your sandal in the urban jungle, you can use this life hack. A recent article was published in the Wall Street Journal regarding how higher economic status may be linked to unethical behavior. It quotes a study that was conducted by Berkley. Here is the full study. So why should us urban survivalists care about what people think about those in a higher economic status? Because, you may be one of them; or be PERCEIVED as one of them. Again, so what, why should you be worried? We at Zenshin LLC, do not care much for politics, be we care about and study human behavior. Our last post was about surviving a gang attack and the victim of that attack was described primarily as a driver of a Range Rover SUV. The news outlets focused not on the victim as a person but on his status (what he was driving). All you need to do is keep track of the talking heads and there is a serious trend to demonize those that have money. Again, we do not care if this is justified or not, but it does add to the possibility that one’s socio-economic status may now be a factor in determining whether you are targeted individual. Those who have money just are not helping. 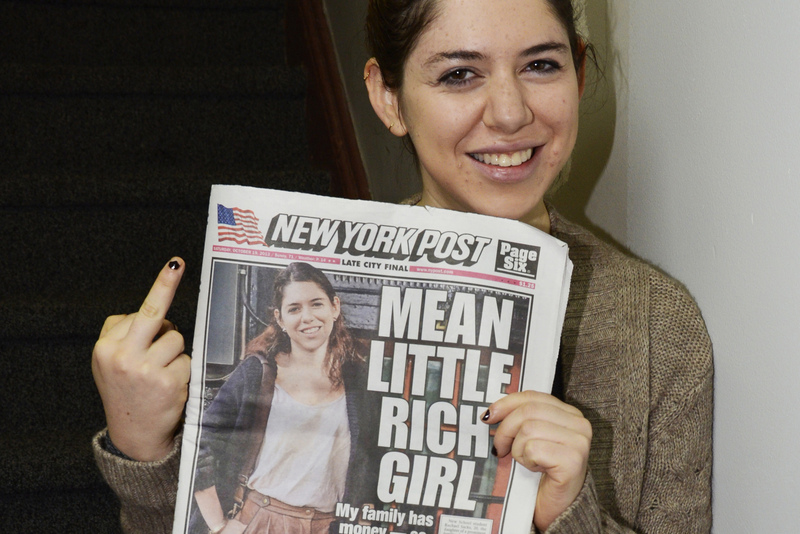 Take this rich girl for example. She basically says “Let them eat cake.” Well, we know what happened to the last person who said that. She went on a rant that went viral about how she is sick and tired about being put down by poor people. Here is her rant. So I ask you, when there is a black-out or a natural disaster and a mob forms because they felt they were left behind and not treated fairly because they are poor, who are they going after? Other poor, left behind, disenfranchised people? So where do you fall in all of this? Check below to see (2010 statistics). Note, half of this nation’s wage earners make less than $34,338. That is potentially a lot of angry people going after the top 25%. If you are in the top 25%, I would worry. The top 1% can afford to get on their planes and get out of dodge. What are you going to do, get in your Range Rover SUV? This YouTube video recently had over 11 million views. It discussed how wealth is perceived and what it actually is. The general population actually thinks there is greater equity and they are better then they really are. Now, with videos like this, people are now being educated on where they stand on the wealth inequity scale. Over 11 million people watched this video. It’s not going to be pretty. The question is, what are you going to do? These two parts of the motorcycle attack are the most difficult. Fleeing a mob via a vehicle should be easy. 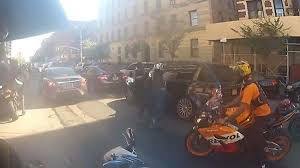 The victim of the motorcycle attack in NY fled after he was attacked and as per news reports ran over one of the motorcyclists. Here, the attorney for that motorcyclist run over by the victim comforts the wife of the motorcyclist while announcing a multimillion dollar lawsuit filed against the victim driver. To survive a gang attack alone and/or while protecting loved ones, you have to consider the psychology of combat, your physical abilities, your fighting capabilities and the environment. At Zenshin LLC, we teach that there are typical psychological responses both the aggressor and the potential victim display. If you can interrupt that learned response you have a great chance of disrupting the attack long enough to escape. Of course, being physically fit is important, more important is knowing what your physical limitations and strengths are so that you can increase the odds that you will make good combat choices. Above, I stated the rule of combat is “all other things being equal, the bigger stronger person wins.” There is a second part of the rule that says, “although it is possible to change that outcome with skill and environmental factors.” Train everyday and when you are not in combat, practice how your environment may help you. 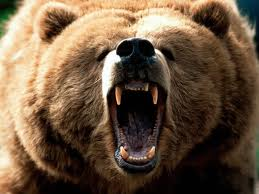 The planning you do now may help fend off all types of animals that may want to do you harm. people have been discussing how such a thing could happen and how to prevent these attacks from happening again. Here at Zenshin LLC we analyze these attacks with a view toward survivability. We assume that these attacks will occur, it is just a matter of when. The news is full of examples. This is just the latest one. In our Psychology of Combat series we discussed briefly how understanding the psychology of the gang can be used to protect yourself. You can read that post here. Driving through a mob is the easiest to discuss. It’s simple, don’t do it. Drive over to the side of the road and yield to the mob. Look for the best possible location to move over. 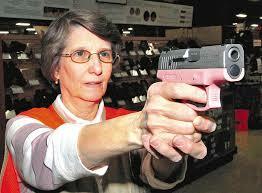 Keep in mind, some places are not conducive to protecting yourself. Be aware of where you go at all times and where you can exit if necessary. Do not allow them to engage you. The most important thing is to keep moving. If you keep moving they have to move with you. This means even just driving 5 miles an hour, moving back and forth, in circles or in reverse. They will have difficulty dragging you out as long as you are in motion. So they caught up with you and they start attacking the car. In this instance, they smashed the windows and punctured the tires. How far can you drive on flat tires? Pretty darn far! So keep going! As the mob starts smashing the windows you have to assume they are going for you next. The most important thing to remember now is to ensure that the doors are locked. If the doors are locked they can’t drag you out. Hopefully, you are still moving so it would be that much more difficult. 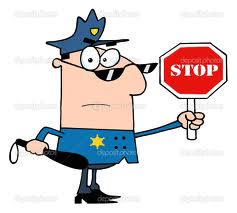 Check out our next post for ideas on fleeing a mob and surviving a gang attack while protecting your loved ones. In the meanwhile ask yourself this question….What do you have in your car to protect yourself and your family? Comment with your answers and why you have what you have. Well, if you have been following my blog you have noticed I’ve been out of commission for a while. Part of that was some changes in my personal life and part was as a result of my Preparing to Survive experiment. In my last post I explained the difference between preparing to survive an urban disaster and practicing the skills necessary to survive an urban disaster. Practicing urban survival skills is not that easy. Somethings that may be perfectly appropriate in an emergency may be frowned upon in everyday life. Like the day I was practicing alternative fire starting on the Highline in NYC. The cops were not amused. What I wanted to explore recently was how my body would react if there was an urban catastrophe and, as predicted, there was a shortage of food from the usual places we urbanites obtain our food from (e.g. The Cheesecake Factory, Dominos and the local Bodega). Since there are a ton of rules we have to follow in the city, I could not pull a Les Stroud and hang out as a homeless person in NYC to see if I could find food, water and shelter. Some socialite would call the police and I would just be taken to a homeless shelter where they would provide me with food, clothing and shelter plus bed bugs. So I thought I would just see if I could duplicate what it would be like to restrict my diet to what would be available to me if there was no more food on the store shelves. What would I eat? There are no wild berries and caribou crossing Central Park. What we do have though are a lot of squirrels. So 313 grams equals about 11 ounces of squirrel meat. An average squirrel yields about 3 ounces of meat so this chart equals almost 4 squirrels. Okay, that is doable. I think I can go on a squirrel diet for a week and see how my body reacts. Unfortunately, according to the City of New York and PETA, squirrels are a protected species. So are pigeons (I suggested an alternative). So, how do I ascertain how my body and mind would react to a drastic change in diet? The answer came from an unusual place. A chubby colleague of mine was going in for gastric bypass surgery and was told he needed lose 100 lbs. before he could have the surgery to lose weight. Huh? I still don’t understand that rationale but fortunately for me he was given a diet of high protein meal replacement shakes to help him lose the weight. 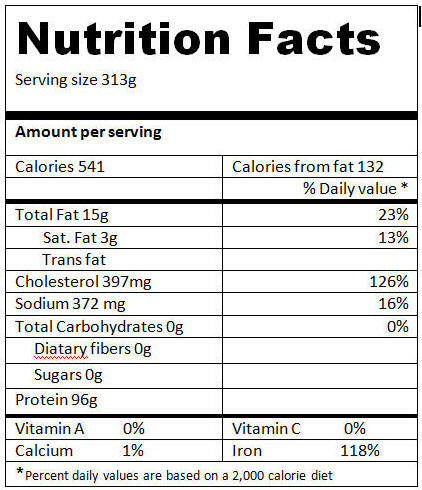 The shakes have almost the exact nutritional value of squirrels! So I bought a week’s worth of shakes from him (felt like I was buying on the black market) and started my experiment. Day one: Surprisingly not hungry. Noticed a diminished cognitive capacity, but not sure if it was related to my advanced age or the shakes. Urinating a lot, but figured I’m drinking shakes, so it makes sense. Felt a little hungry at night but got through the day okay. Day two: Seriously, I’m not thinking straight. At the end of the day, I ask my colleague if he had similar experiences, and he said that it was probably due to dehydration. A little tidbit of information he failed to tell me at the beginning. Apparently you have to drink a LOT of water. I drank additional water that night. My energy level has tanked. Day three: Have not caught up hydrating and it is apparent I lost some weight. As the day progressed I hydrated more frequently. I’m getting used to not physically eating. Day four to day seven. Uneventful. I slowly regained my physical strength and what little cognition I previously had. I lost a total of 10 lbs but felt like I could still go on just having shakes for nutrition. I opted to stop the experiment as planned. I slowly went back to eating normally. Day 10: I sat down to write this blog post. I felt a weird feeling in my right kidney. Similar to what it feels like days after getting a bad kidney punch. Plus I had an overwhelming urge to use the bathroom. Both the pain in my kidney and the urge to relieve myself grew increasingly worrisome. Within in four hours, I was at the ER with a morphine drip in one arm and a very nice nurse on my other side assuring me it was okay to cry. Yes folks, I was passing a kidney stone. Apparently, another thing my colleague failed to mention was that there was a high incidence of contracting kidney stones while taking these shakes. Combine that with my initial dehydration and I was down for the count. But, the experiment was a success. I now have the experience of feeling what it would be like to have my diet drastically change such as what may happen in an urban crisis. Although I already knew hydrating was important, I now know that I underestimated how much water I need to function at peak performance. Lastly, I realized that the decisions I make at the beginning of a crisis can and will have a profound effect later. I kept the kidney stone as a reminder of that.